Summary: "Readers of all ages and walks of life have drawn inspiration and empowerment from Elizabeth Gilbert’s books for years. Now this beloved author digs deep into her own generative process to share her wisdom and unique perspective about creativity. With profound empathy and radiant generosity, she offers potent insights into the mysterious nature of inspiration. She asks us to embrace our curiosity and let go of needless suffering. 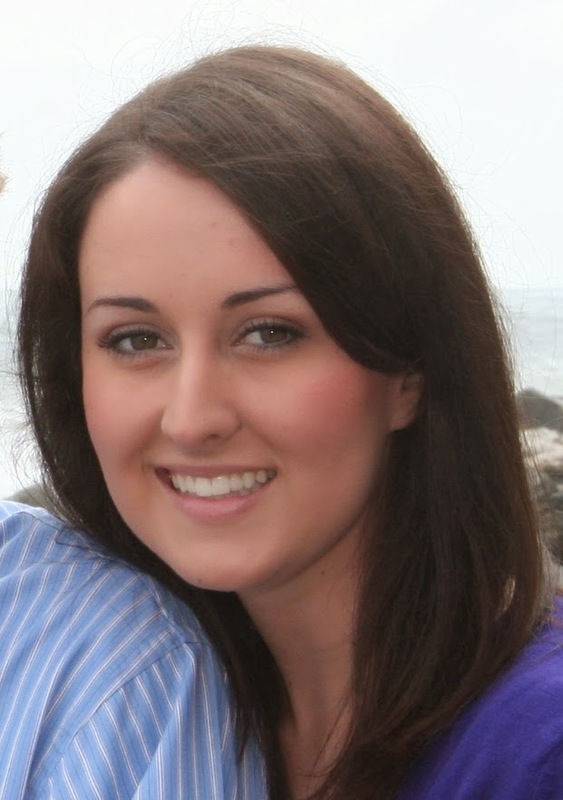 She shows us how to tackle what we most love, and how to face down what we most fear. She discusses the attitudes, approaches, and habits we need in order to live our most creative lives. Balancing between soulful spirituality and cheerful pragmatism, Gilbert encourages us to uncover the “strange jewels” that are hidden within each of us. 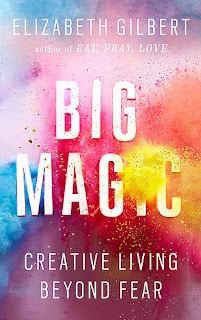 Whether we are looking to write a book, make art, find new ways to address challenges in our work, embark on a dream long deferred, or simply infuse our everyday lives with more mindfulness and passion, Big Magic cracks open a world of wonder and joy." Mini-review: Ms. Gilbert and I are very different people. I appreciated hearing her thoughts on something we are both passionate about, as she thinks so differently from me. This book was interesting and often funny, and I liked how conversational it felt. That being said, I strongly disagreed with her on a few points. I approach creativity very differently. I do not think ideas are their own entities, floating around trying to find humans to plant themselves in. That whole idea was extremely woo woo, I thought, and had me giving this book the serious side eye. I also disliked her stance on higher education in the arts and disagreed with her on the importance of the arts in society. That being said, I liked how positive she was about the whole creative process and enjoyed hearing her stories. I liked how encouraging she was, regardless of your age, skills, talents, time, or any other factor. And, most importantly, by the end I was majorly inspired to go do something creative, even if for no other reason than because I like it. 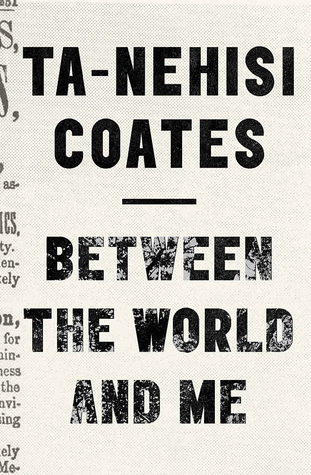 Summary: "In a series of essays, written as a letter to his son, Coates confronts the notion of race in America and how it has shaped American history, many times at the cost of black bodies and lives. Thoughtfully exploring personal and historical events, from his time at Howard University to the Civil War, the author poignantly asks and attempts to answer difficult questions that plague modern society. In this short memoir, the "Atlantic" writer explains that the tragic examples of Michael Brown, Trayvon Martin, and those killed in South Carolina are the results of a systematically constructed and maintained assault to black people--a structure that includes slavery, mass incarceration, and police brutality as part of its foundation. From his passionate and deliberate breakdown of the concept of race itself to the importance of the Black Lives Matter movement, Coates powerfully sums up the terrible history of the subjugation of black people in the United States. 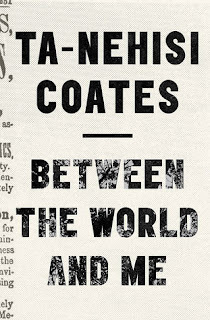 A timely work, this title will resonate with all teens--those who have experienced racism as well as those who have followed the recent news coverage on violence against people of color." Mini-review: I feel weird giving this book a rating. It's not a story so much as a history, a personal experience, or a lesson. There is a lot of stuff to digest here, and I'd definitely recommend taking your time with it. It's important reading, and this book needs to be out there. Happily it is pretty well known by now. I only wish there were more conversation on how to break out of or change the "dream" to not be destructive and exclusive, or what that new society would look like. But maybe that's a topic for another book. I downloaded Big Magic but I'm not sure when I'll get to it. These types of books are always interesting. You have to take it or leave it. It's a quick read, so you won't need to devote a whole lot of time to it. Hope you enjoy it when you do!